excellent! I really like it ! a touch of fun doesn’t hurt ! 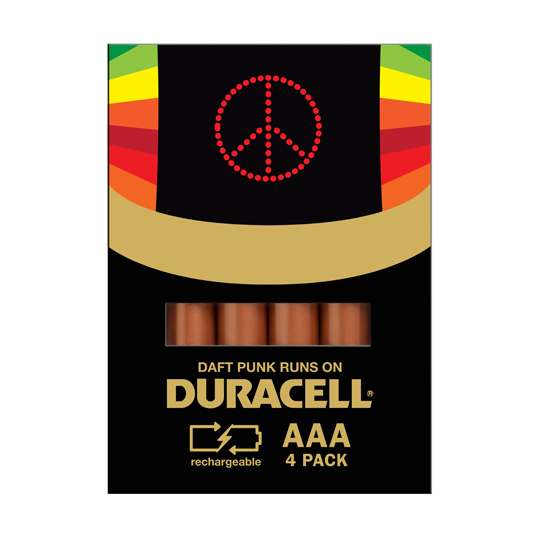 While I like the general look I can’t get the feeling out of my mind that these look like packages for children’s crayons instead of batteries. 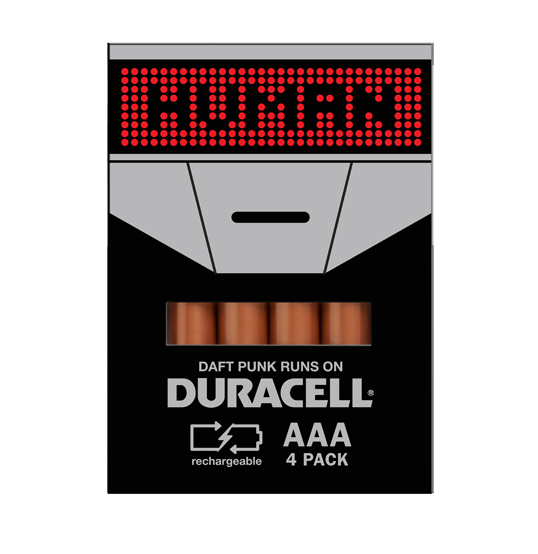 The hunt to create something unique, which I applaud, has unfortunately diminished the Duracell brand. 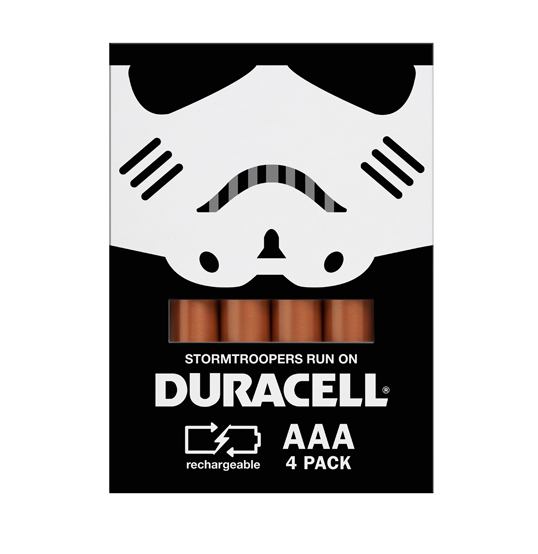 You made the Duracell name large but there is not the instant recognition that these are really Duracell batteries. 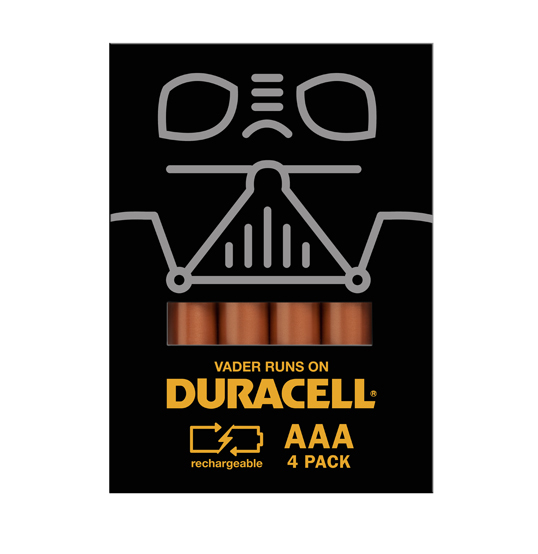 Duracell has the #1 brand awareness in the battery market. Why would they want to down play that? 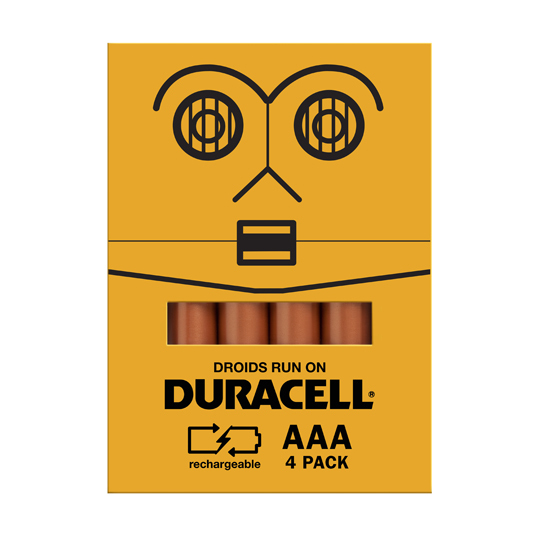 Could become a licensed product used when launching a product that requires batteries but has its own unique, very strong identity, think Disney, Lego etc. I love the 1st three Star Wars pkg. I love that they look like crayons. 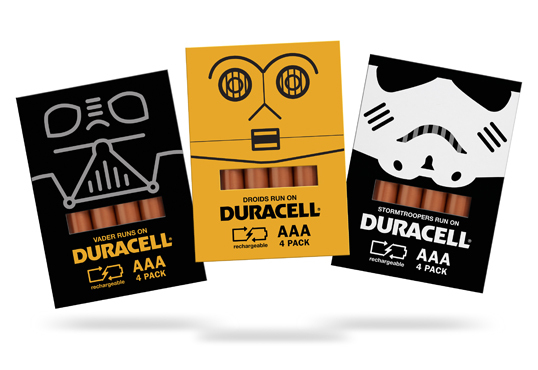 We as adults use batteries for our “toys” too! 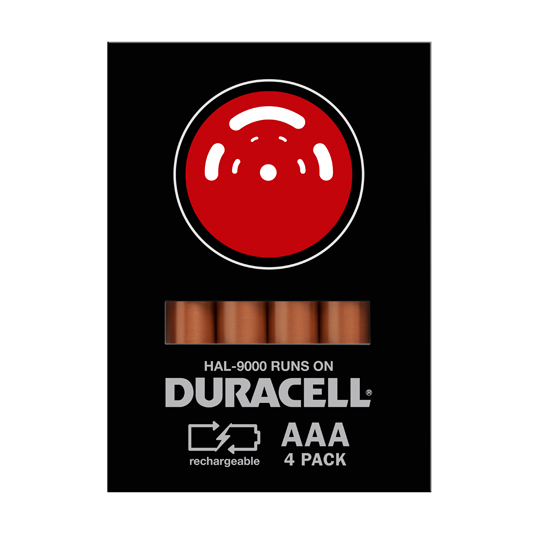 The question I have is – how much larger than the batteries is the (admittedly vibrant and fun) package that they come in? There is a ton of waste in packaging today – consider the colossal plastic clamshells that seem to be used on all kinds of small technology at warehouse club stores – though there’s also been a lot of improvement, with more minimal and much easier to recycle packages being used. But for a more-or-less commodity-level item like this, wouldn’t one want to go minimal and get in the way of the built-in visual brand as little as possible? 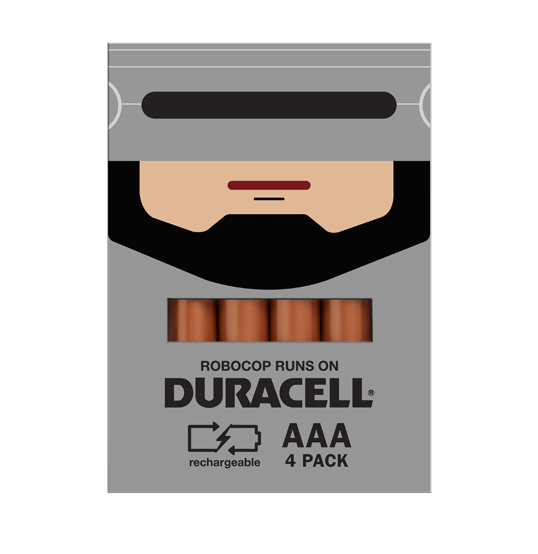 I guess (if these are able to be used on product hangers) they could give a greater visual impact to the peg areas with these batteries. That’s the only thing that seems compelling about them though. Brilliant. Love the concept. We need more people thinking creatively, and this is just great. Nice work!